A marathon bargaining session moved Denver teachers and the school district "closer" to an agreement to end a strike by thousands of educators. 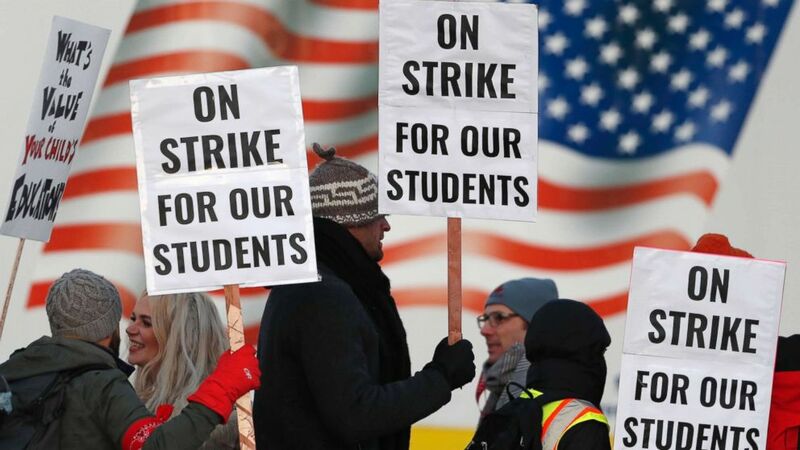 As the strike entered its third day Wednesday, the president of the Denver Classroom Teachers Association and the superintendent of the city's public school district released a joint statement reporting progress in the negotiations. "We exchanged proposals that are moving us closer and are hopeful that we will get to an agreement soon," reads the statement by union president Henry Roman and schools Superintendent Susana Cordova. "However, we need a little more time to resolve the outstanding issues." Union officials say about 3,700 educators are participating in the strike, or about 86 percent of the teachers in the district's 160 schools. The teachers got a boost Wednesday from at least one presidential candidate. Sen. Kirsten Gillibrand, D-New York, who has joined the growing field for the 2020 presidential race, tweeted support for the striking teachers. "We entrust our children -- our futures -- to teachers, but we don't come close to paying them what they deserve," Gillibrand tweeted Wednesday. "Teachers spend nights planning, go into their own pockets for supplies and love our kids like their own. We need to pay them a living wage." 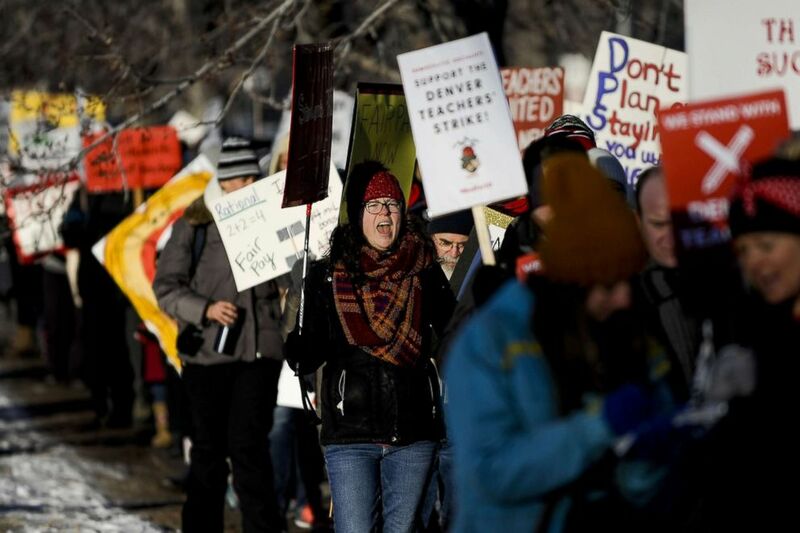 Schools in Denver remained opened Wednesday with substitutes, some teacher and school administrators filling in for the striking educators. Negotiations resumed on Tuesday after the teachers' union walked away from the bargaining table on Saturday and teachers went on strike Monday. The union is seeking a wage hike for all teachers and a simplification of a pay-for-performance system called ProComp -- which was passed by voters in 2005 and offers teachers bonuses for increasing student classroom achievement and for working in high-poverty schools. Cordova said earlier this week that the district has no plans to scrap ProComp, which would mean forfeiting $33 million a year. "Denver Public Schools and the Denver Classroom Teachers Association worked in good faith to find common ground on ProComp," reads the joint statement from Roman and Cordova. The union is proposing $28.5 million in teacher compensation while the school district's latest offer came to nearly $25 million. The school district has moved closer to what the union is asking for on starting teacher pay, ABC affiliate station KMGH-TV in Denver reported Wednesday.